Eliminating the worries of people in flooding situations is a daily goal for Allen Smith and her teams of specialists with 911 Restoration Cleveland, making them the best in the business at the task. Our water damage Parma crews know that when water has infiltrated your home or business, immediate action is needed to keep the situation from escalating and ultimately costing more to amend. This simple reality of water damage is why our crews will arrive on the scene of your trouble within 45 minutes to give you all the help you need. There is no type of water damage, or category of water degradation that our specialists with 911 Restoration Cleveland can’t handle with ease, and that makes them the most trusted professionals in the industry. Allen wants to save your home or business from the challenging nature of water damage and the stress that it can cause, so call him today for all the help you need! 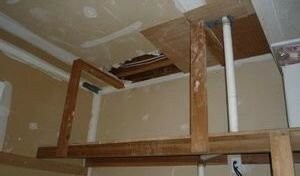 Allen and his teams of specialists have been solving the challenges presented by water damage Parma situations for long enough to realize that the best methods for prevention are simple maintenance tricks that every homeowner should know. An ice dam can cause significant damage to a home because when ice freezes in the gutter it can create an obstruction that then allows any meltwater to pool up and infiltrate the roofing layers. Then when another freeze comes in, the water that has seeped inside expands and destroys roofing layers introducing melt water into the interior of the home thereafter. “Homeowners should also always make sure to never let the temperature in their home drop below the point at which water in their pipes will freeze and cause a burst,” Allen explains. Another trick that people can do to prevent water infiltration is to inspect the hoses and fittings on their water-based appliances to see if there is any damage that may result in a rupture that soaks the home. Allen and his crews are standing by, ready to help you with your water damage Parma situation, so call them now for help with anything! When people need quality restoration work, they trust in the experience and skills of Allen and his water damage Parma professionals with 911 Restoration Cleveland to take care of them. Not only does Allen offer the best restoration work that there is, he also provides people with the information they need to know every step of the way throughout the restoration experience. “We want our clients to be informed on all of the ins and outs of the entire project so that they can feel as connected with their home being repaired as they did before all this happened,” Allen explains. Giving people back their calm after a situation like this makes a world of difference in their state of mind, and that’s why Allen and his crews always put the customer first above all else. If your home is experiencing the stress causing effects of a flooding situation, then contact Allen and our water damage Parma professionals with 911 Restoration Cleveland today!